Minister for Communication, Dr Omane Boamah, says the Broadcast Bill will bring some sanity into the entire media landscape when finally passed. According to him, the passage of the bill -which is currently before parliament- would impact positively on existing media standards in Ghana. 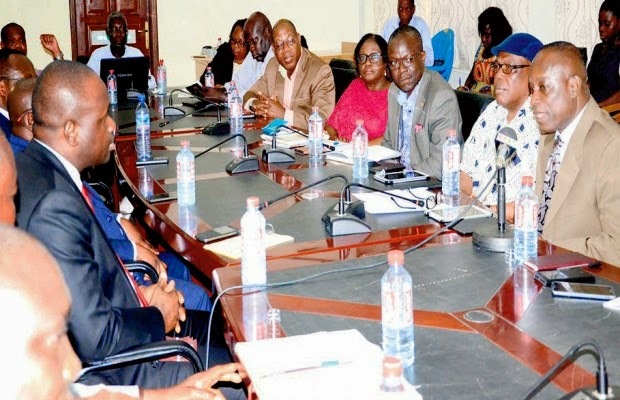 Dr Omane Boamah made this known when he paid a courtesy call on the National Media Commission (NMC) in Accra last Wednesday to discuss and solicit inputs into the development of the proposed Broadcasting Bill. The bill, which was presented to parliament for consideration in 2012, is yet to be passed. The bill draws its strength from certain provisions of the 1992 Constitution, including the constitutional principles of transparency, which takes the form of openness of the process of broadcast authorisation, equity, fairness, equality of economic opportunity for all. Dr Omane Boamah also expressed concerns about the content delivery in the media terrain, indicating that it could tarnish the country’s image if strong structures are not put in place to address it. He urged the National Media Commission (NMC) and the National Communication Authority (NCA) to work together in ensuring sanity in the media landscape. The meeting was also used to discuss ways of ensuring tolerance within the media landscape in order to ensure serenity in its content to the public, digital migration process and the media development fund. However, the Chairman of the NMC, Kabral Blay-Amihere, disclosed that the passage of the Broadcasting Bill would contribute tremendously in addressing irregularities in the media terrain.